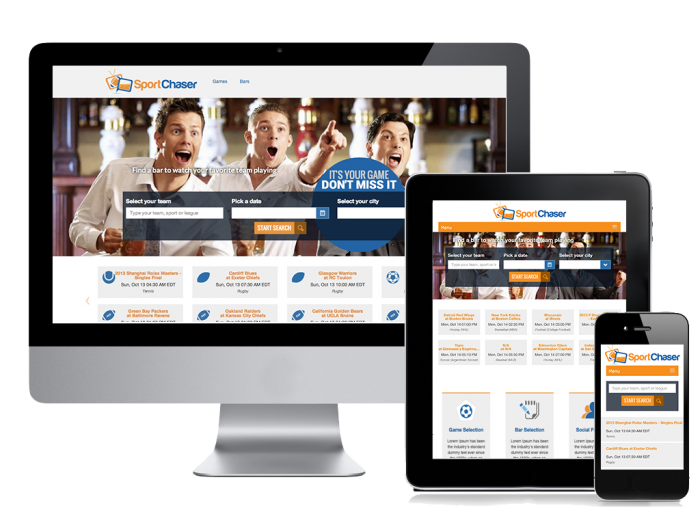 SportChaser sports technology upgrades sports fans’ Super Bowl experience by finding your perfect bar based on fan affiliation, bar atmosphere, size, category and more. With Super Bowl XLVIII in town for the first Super Bowl played in the New York/New Jersey area and in a cold-weather environment, using the SportChaser.com website to find a bar to watch your favorite team play is made for Hawks 12thman and Broncos fans who like to represent Seattle and Denver at these kind of fun and entertaining establishments. NFL fans can select a bar from over 240 bars in New York City. The Sports Techie community blog connected with the two startup founders in order to share how you can use this novel service this weekend if you are in the Big Apple rooting on either the Seattle Seahawks or Denver Broncos to win SuperBowl 48. SportChaser provides sports fans with a detailed search engine and digital sanity knowing they can find their favorite team’s game on a computer, laptop and mobile device. Founded in mid-2013, SportChaser is a website that aims to connect all sports fans to sports bars by locating which bars are broadcasting their preferred sporting events. “Of course you can watch the Super Bowl almost anywhere, but what we are offering is different. We connect fans to the right bar with the right people,” states Amelie Wisniak, co-founder and CEO of SportChaser. Search for your team, league, or sport to find the game you want to watch. Once selected, a list of bars capable of broadcasting your game will appear. Narrow your search and find the right bar for your needs. They use a “confirmed” ribbon to show which bars have confirmed that they will broadcast the game you have selected. New social features will connect all sports fans to watch their game together. SportChaser believes in the social values of sports and decided to launch brand new features to make the site more social. Sports fans will have the ability to create their profile, pre-check-in and invite their friends to watch their favorite team play. “These features will allow fans to connect online as much as offline,” said Tamara Prud’homme, co-founder and COO of SportChaser. Tamara and Amelie fail from France, earned U.S. university degrees and settled into living in New York City. They came across a problem many fellow Sports Techie experience, it was hard to find a game and attend social gatherings in New York that had Amelie’s favorite european soccer games with the kind of upbeat atmosphere Tamara was trying to enjoy at the same time. They decided to begin working together on a project that would help sports fans find bars that broadcast their favorite team’s games. Today, SportChaser.com provides sports fans with an effective tool to find their game in the best location thanks to an advanced search engine functionality. Fans are able to find the right bar taking into consideration a bars’ TV schedule and the ambiance each fan wants to experience. The SportChaser web site search criteria for the Seattle Seahawks at Denver Broncos game on Sun, Feb 02 at 06:00 PM EST, allowing users to select different neighborhoods, bar categories and price ranges. The following data came up for NYC. Neighborhoods: Midtown West, Midtown East, Upper East Side and East Village, plus more. Categories: Sports bars, Tavern/Pubs, Lounge Bar, Cocktail Bars, DiveBars, Wine Bars, Bar Restaurant, and Bars. More bars around New York are signing up at the website which will increase the available categories. 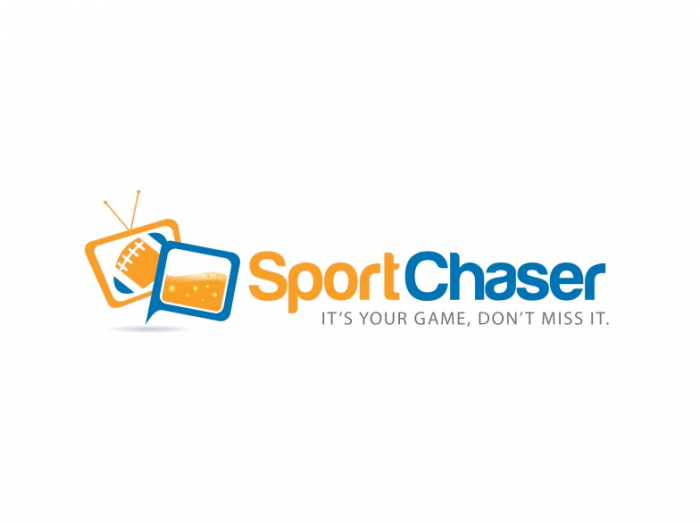 SportChaser.com and TonicEast are co-hosting an event to get sports fans together for Super Bowl XLVIII. For the Big Game, a contest will be organized on Facebook and Twitter with amazing prices to win, including your favorite team jersey and some hot SportChaser swag. The Tonic East NYC is a multi-level Rooftop Sports bar and Restaurant which stands out with its one of a kind design, decor, and lightening presentation. Its 70 large screens and TVs on all three levels, breathtaking Rooftop patio and padded leather sofas make Tonic East NYC the premier destination to grab a drink or a great meal and watch a game for any Sports Techie. “Whether they are looking for an intimate atmosphere with a touch of rowdiness or a big time bar that is nice and peaceful, SportChaser offers to find their perfect match,” shared Prud’homme. SportChaser.com is a website connecting sports fans to sports bars by locating which bars are airing their preferred sporting event. SportChaser.com is a subsidiary of SocialChaser, Inc., a New York based company. If you would like to inquire more information about SportChaser or for a demo, contact them at press@sportchaser.com. SportChaser is a website that aims to connect all sports fans to sports bars by locating which bars are broadcasting their preferred sporting events. Sports Techie, Attention Super Bowl Seahawks and Broncos fans, if you are in NYC or New Jersey and want options on where to find a fun sports bar stuffed full of Seahawk 12s or Payton Manning fans, give SportChaser an opportunity to provide you with data and options worthy of the Sports Techie community. Finding your favorite team’s upcoming games is easy. Just type in the team’s name, sport or league you would like to watch and pick a date and a city. 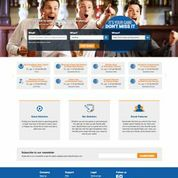 Whether you are into sports or just looking for the right bar to meet up with friends after work, SportChaser.com is a great tool to find the right bar with the right atmosphere, and the best price range that suits your mood as well as your wallet. Remember that time you went to the movie theater alone? Neither do they, that’s why they’ve connected all of your favorite social networks onto SportChaser.com. Now you can invite your friends, drink and be merry. Cheers to these Sports Techie ladies for founding a sports tech company and helping to pioneer the Industry to new areas. Join SportChaser for Super Bowl VLXIII in NY and NJ and connect with like-minded fans at the Tonic East bar on Thursday, Friday, Saturday and Sunday. It’s your game, don’t miss it.